Here in Vail, Colorado, avalanches are beyond myth and imagination; they’re a reality. 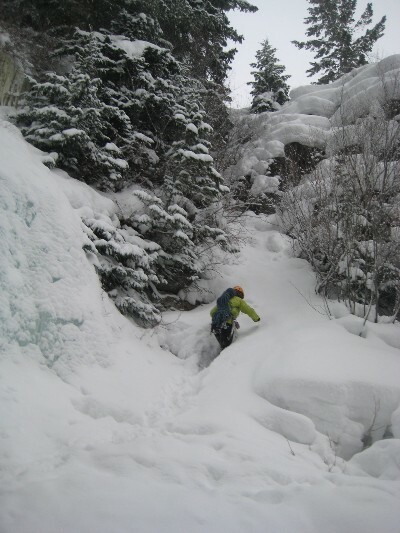 I’m most concerned about avalanches when skiing, but hikers, snowshoers, and snowmobilers–as well as anyone venturing out in avalanche terrain–should be aware of avalanche risk and experienced enough to use essential avalanche gear, such as a beacon, a shovel, and a probe. In both of these situations, the skiers ended up on top or in front of the avalanche. But most victims aren’t so lucky. Wondering what you should do if you’re the victim in an avalanche? Who says survival manuals have to be boring? The National Geographic Complete Survival Manual is far from being a snoozer. 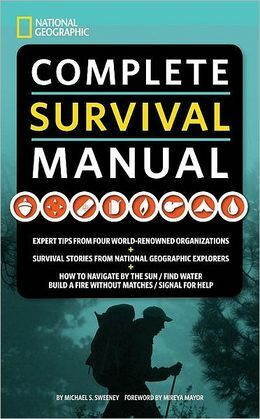 It’s packed with practical how-to information, expert survival stories, and step-by-step photo illustrations. It covers six of the world’s most hazardous environments and the survival skills relevant to each, including how to find water in the desert, how to build a snow cave shelter, and what to eat in the woods. I recently wrote an article for the About.com Survival Skills website about avalanche survival gear, including the Black Diamond AvaLung and avalanche airbags. I got the idea to write about these two pieces of gear last week as I attended an avalanche awareness lecture given by Scott Toepfer of the Colorado Avalanche Information Center. As Scott was talking about different types of gear, he put on an avalanche airbag backpack and then surprised the audience by pulling the trigger to inflate it. As soon as he triggered the airbag, it exploded like the airbag in a car and expanded into a big red balloon-airbag around his head. We were all startled because it was loud, and the airbag inflated with explosion-like rapidity, but then our gasps turned into laughs as we realized what he did. Scores of people were in the area watching the Junior Olympics ski race, but luckily no one got spiked with this critter’s quills. 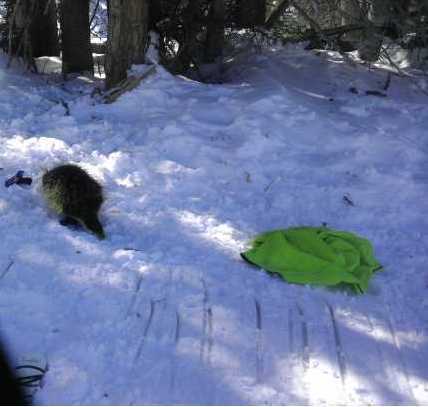 The animal was reported to be lumbering across the snow, moving in slow motion in the middle of the day. Porcupines are generally nocturnal animals, which means that you’ll most likely encounter a porcupine at night as it forages for its food. In North America, they can be encountered either on the ground or in trees. Contrary to popular myths, porcupines don’t shoot their quills at predators or at others who startle them; it’s only possible to get barbed by porcupine quills if your flesh comes in direct contact with them, in which case they’ll detach from the porcupine’s body and then be stuck in yours. 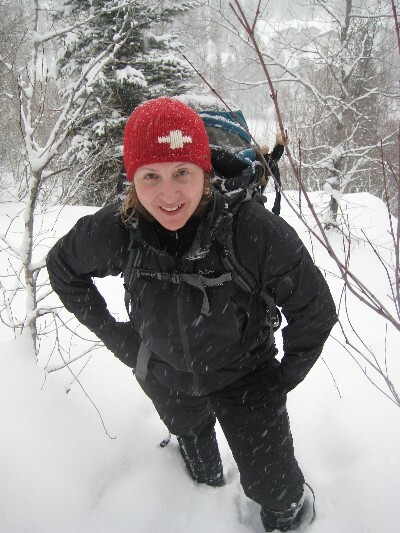 I usually hope that I’m wearing skis if I’m in a deep-snow situation, but snowshoes can be helpful as well, especially if the intent isn’t to ski, but to climb or simply hike instead. 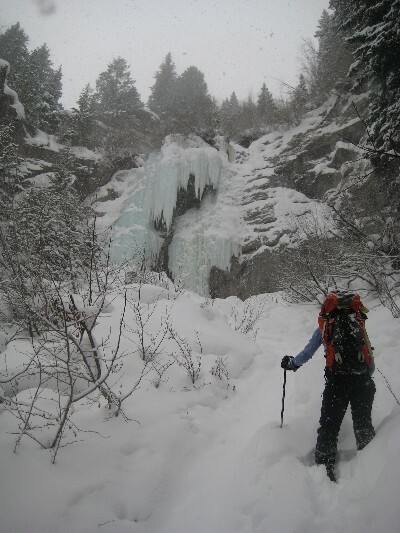 A few years ago, I shared a snowshoe-required adventure with my sister when we went ice climbing in East Vail. 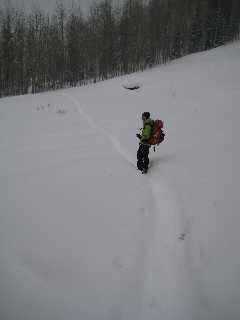 When we started out, the terrain was flat (at right), but it had been snowing steadily for the previous few days. We were able to hike in our mountaineering boots, but as soon as we started to climb upwards, we were post-holing in deep powder. 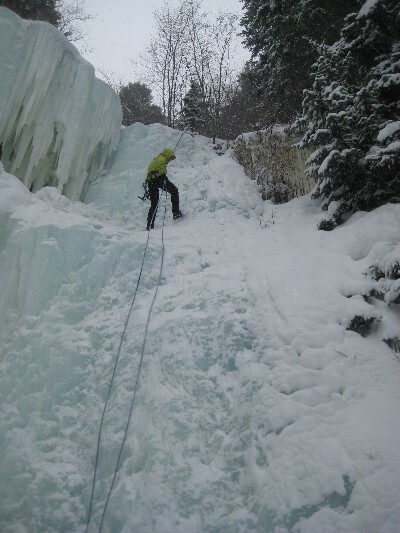 I rappelled down, and then the real fun of the day began–with crampons and ice axes instead of snowshoes. Snowshoes made our approach ascent possible on this day. Skis with skins would have been too heavy and unnecessary since we weren’t planning on skiing down. However, if we had set off with crampons alone, we likely wouldn’t have been able to make it up to the base of the climb so efficiently. What if you get stuck in deep snow without snowshoes?